DIRECTV NOW is a streaming TV service provided by AT&T. It allows you to watch your favorite shows, movies, and live TV channels on the go. It can be used on your TV, or mobile devices like smartphones and tablets. 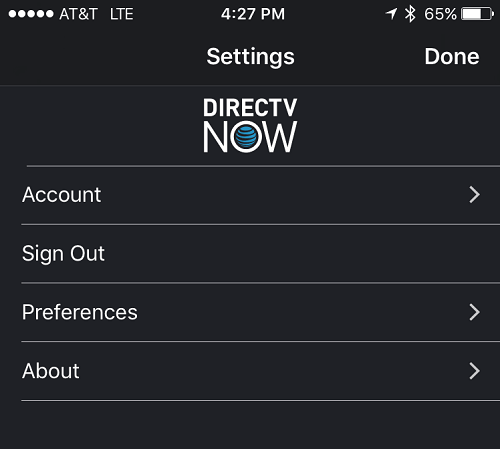 The DIRECTV NOW app lets you view, manage, and update key account settings, such as preferences, streaming, and more. How to Download and Install DIRECTV NOW App? Make sure you’re using a DIRECTV NOW supported browser or device. Additionally, make sure to use the DIRECTV NOW app. Attempts to log in to the DIRECTV app (for satellite service) will result in a 201 error message. To uninstall DIRECTV NOW, delete the app from your device. DIRECTV NOW offers several plans to choose from. The price ranges from $30 to $70 per month. The service is not obligatory, meaning no contract. It can be cancelled at any time. Visit the DIRECTV NOW Plans page in order to learn more about plans and latest offers. Roll out the red carpet when you add HBO® or Cinemax® at an unbeatable price, or get OBSESSABLE original series & hit movies with Starz. Never miss another episode of Game of Thrones, Westworld, or Black Sails.